So…today I had the privilege of meeting my Compassion child, Marcos. I walked into his house. I saw where he sleeps. I listened to his prayer requests. He has the most amazing smile. Don’t you agree? This is where Marcos sleeps. On a bed made of wood slats covered with a very thin blanket. No mattress. None. His sweet little body lays down each night directly on wood, with no cushion to make him comfortable. His grandmother cooks their meals over bricks in a covered area off the bedroom. 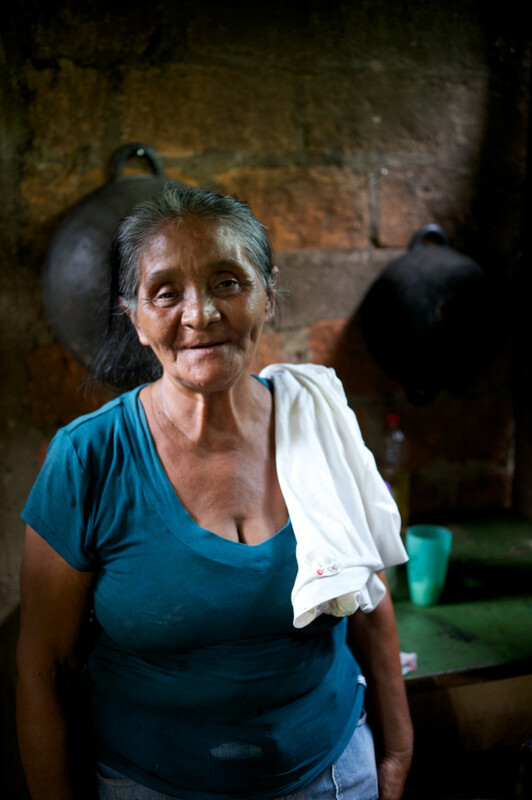 She makes only rice, beans, and tortillas, because that is all she can afford. Pulling out her cast iron pot, she showed us what was left from breakfast, which would be dinner. This is Candida. She cares for Marcos every day because his parents went to Costa Rica to find work with his 3 year old sister, Pamela. When able, they send money back to his grandmother to help out. 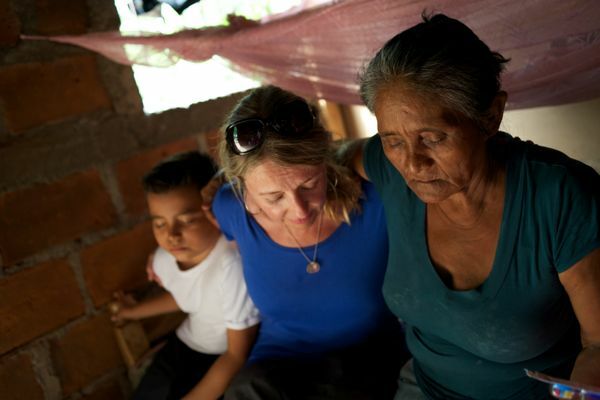 Candida hopes that someday her daughter, Marcos’ mother, will come back for her son. This is her prayer. She loves him dearly. I can see it in her eyes. In addition to Marcos, she cares for 9 of her grandchildren. Her husband left, not sure where he went. I admire her. I couldn’t quit hugging her. She kissed me and I don’t want to wash my face. I love this woman for what she has done. I wonder what would have happened to Marcos without the commitment of his grandmother, or the hope of being sponsored? I would guess that he most likely would have become an orphan. Then that would be a whole other story. I thank God for Candida. During our visit today, I was so pleasantly surprised to find that his favorite gift we brought him (and there were cars, soccer gear, and more) was the Jesus Storybook Bible (in Spanish of course!). He loved it so much that he began reading the story of Noah right there to us. He wouldn’t put it down. One of the questions I kept asking was, “How does being sponsored change and affect Marcos’ life?” This is what his grandmother shared with me. 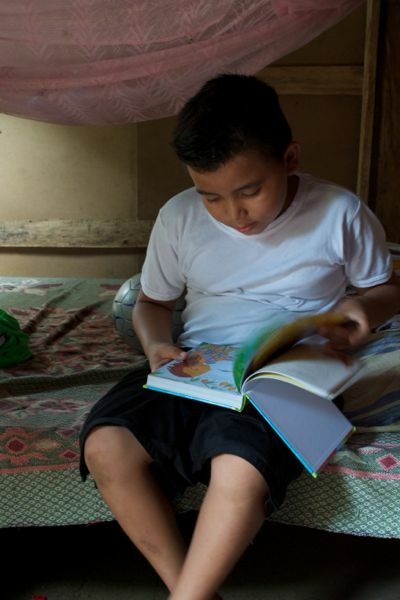 Because of the financial assistance from enrolling in the Compassion project, Marcos and his cousins can now go to school. The financial burden is lifted from his grandmother. They can get an education. Now he can read. You know what he wants to be when he grows up? (Watch this video and he will tell you!) He has a dream, he has hope. That is more than many children have. 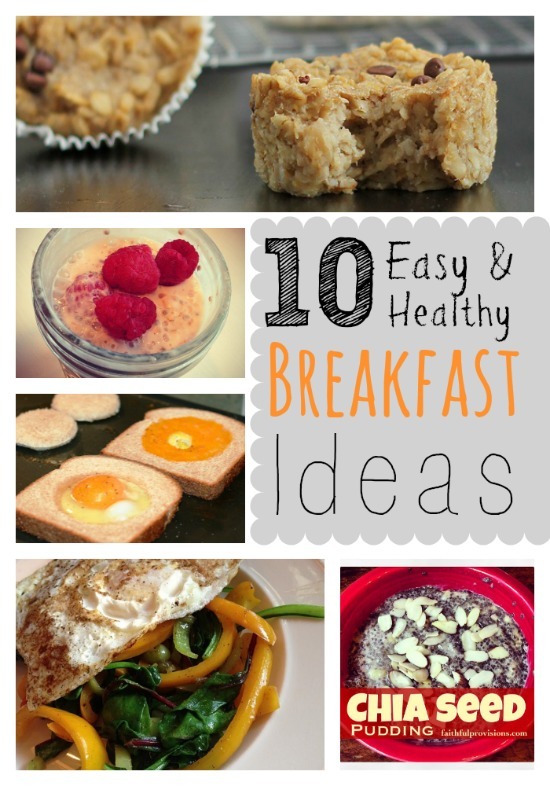 Remember those rice and beans they eat every day? Now, he will receive nutritious, well-balanced meals because he has a sponsor. This is Marcos’ story, but there are many more like him. Many more children that need someone to give them a chance at a future. Guess what? You can do this too. You can change a child’s life by saying yes…today. Will you say “yes” and change a child’s life? Will you sponsor a child today? 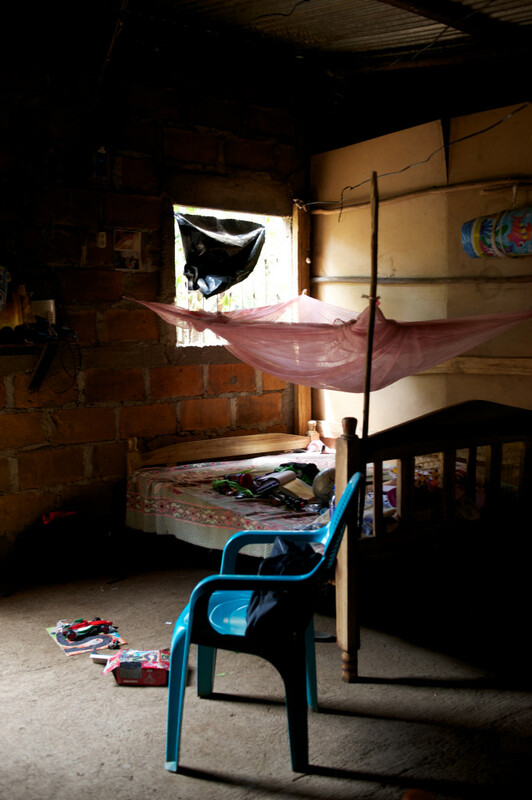 Head over to the Compassion page and check out the children waiting for a sponsor. If you sponsor a child already, I would love to hear your story and what it has done for you and your family! **Be sure to head over to the Compassion Bloggers Nicaragua page to read everyone’s story from Day 1. Kelli, Thank you so much for following along and your encouragement. I pray for many sponsored children this week! 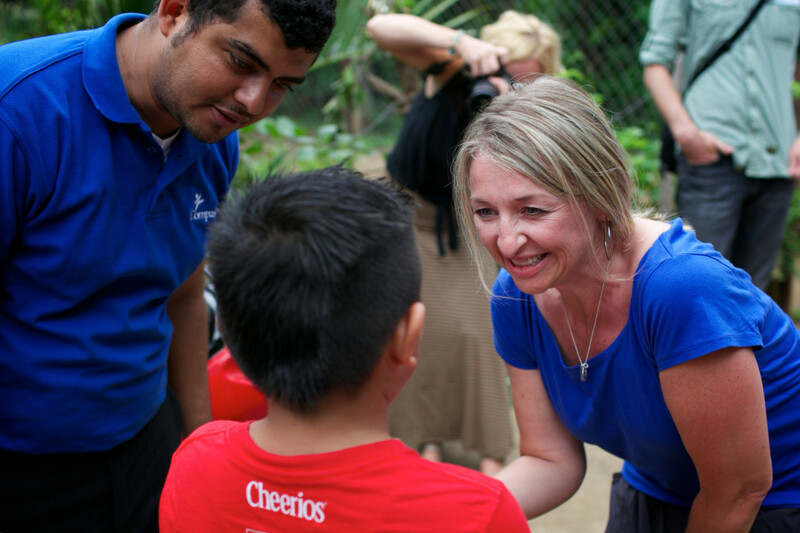 I head to El Salvador with Compassion next week. I am beyond excited. Thanks for Marcus’ story! I love his sweet smile! What a special day you had today, and more to come I am sure on this trip. 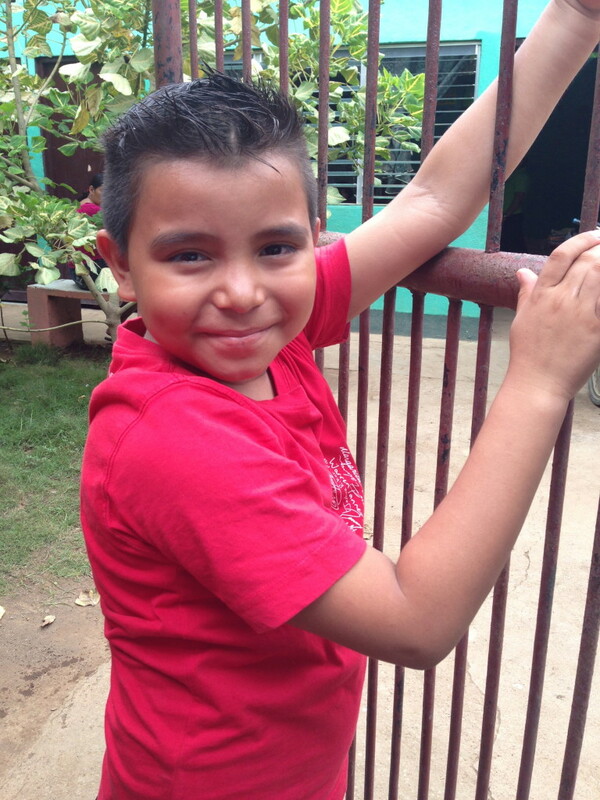 My son and I will be traveling to Mexico in January with Compassion to visit one of our sponsored kids. I know it will be a hard trip to take, but also so rewarding, knowing how hard people are working to help change the story for so many of these kids. Thank you for sharing with all of us! 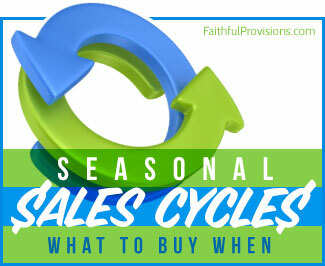 Yes, it will be so amazingly rewarding experience and you will be FOREVER changed by it! I can’t wait to hear more about it. BEAUTIFUL photos!!! I love everything about this post. I love Candida and her heart for her family – what a treasure she is. 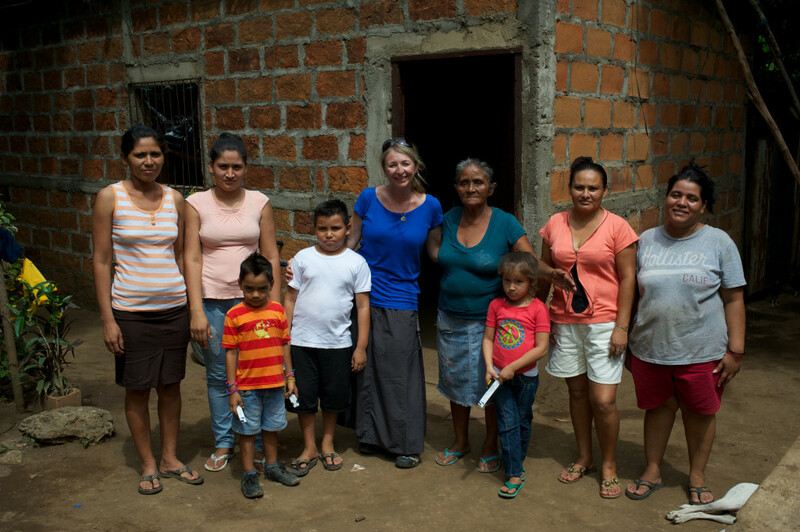 Thank you for going to Nicaragua this week – and for sharing your journey with us. We sponsor Josseling in Nicaragua and have for 10 years. My husband got to meet her and her family in 2012 when he was there. When you meet the child you sponsor, it takes your relationship to a whole new level. When I was in Peru I met 2 children I sponsor and sponsored a child I was meeting (does that make sense?) I feel like I have a very special connection with those children – a connection I dream of making with all the children we sponsor! Such a beautiful thing to meet your sponsor child. What I would give to go meet our girl and give her hugs and love. Amazing. My eyes are very wet. Oh you can totally go! They have special “sponsor trips” where you can visit her. Checkout Compassions Sponsor Trip page here for more information on visiting your sponsor child. It is the trip of a lifetime and worth it to save up, would be an amazing family trip! Oh, I absolutely love thinking of it that way. Love how God does that! Only God could work in such a beautiful way. My sponsored child, Jania, is also in Nicaragua. 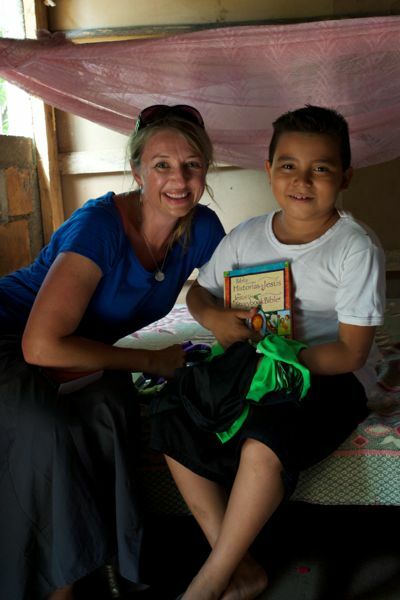 My interest in Nicaragua was sparked by my critique partner, Laura Kurk, in her book, Perfect Glass. She tells the story of Henry’s one-year mission to work in an orphanage, where he meets Rafael or “Raf” who changes his entire life. Thank you for telling Marco’s story and sharing Candida’s valiant struggles on his behalf. Kathrese, thank you for your encouragement and for reading. Our goal is just to encourage others to sponsor and change these kids lives. Wow! What an amazing experience! We sponsor a boy in Rwanda, only since March of this year, so we don’t have much of a relationship yet. It would be so wonderful to meet him someday. Thank you for sharing this trip with us. Thank you for this heartwarming, powerful account of your visit. Thank you for sponsoring this beautiful child and changing the story for God’s glory. Looking forward to all your posts! Every privilege I have been given has been such a blessing, thank you for your encouragement and reading. that kiss from Candida!!! Thrilled for you that you got to meet Marcos!!! I remember meeting my sponsor child and just being a basket case. You want to pack them up and take them home, but then you realize that someone like his grandma is there and with our help, makes a life of love for him by us saying yes..
What a beautiful testimony of God’s grace and His using you and Compassion in the lives of this family!! Wow. Thanks for sharing this with us! I absolutely loved reading every word of this post. In fact, I read it twice! Marco seems like such a wonderful boy. And his grandmother! Love! I have loved hearing your stories from León. MyCompassion child is there at NI144. His name is Josué, and I met him two years ago while on a trip to Nicaragua with the high school students I teach. My chaperone responsibilities prevented me from visiting his home, but Compassion arranged to bring him, his mom, and his project teacher to me in Granada. Reading your posts brings me back to the overwhelming emotions, and overwhelming heat!, of that day.